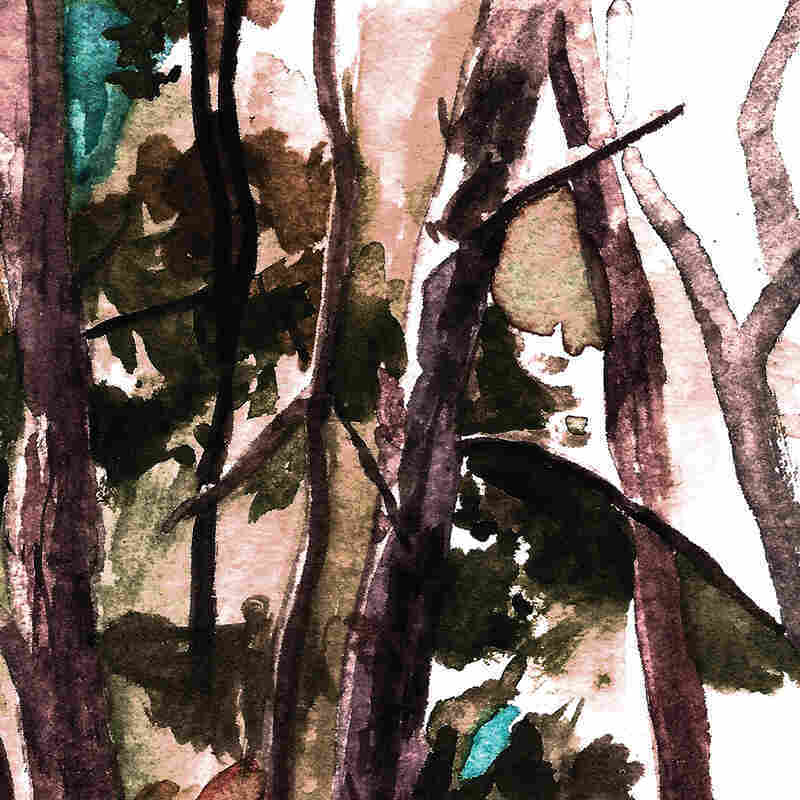 Hop Along's Emotionally Resonant 'Bark Your Head Off, Dog' Is A Triumph The Philly group has crafted a densely textured third album, shot through with restlessness and singer Frances Quinlan's acrobatic melodies. 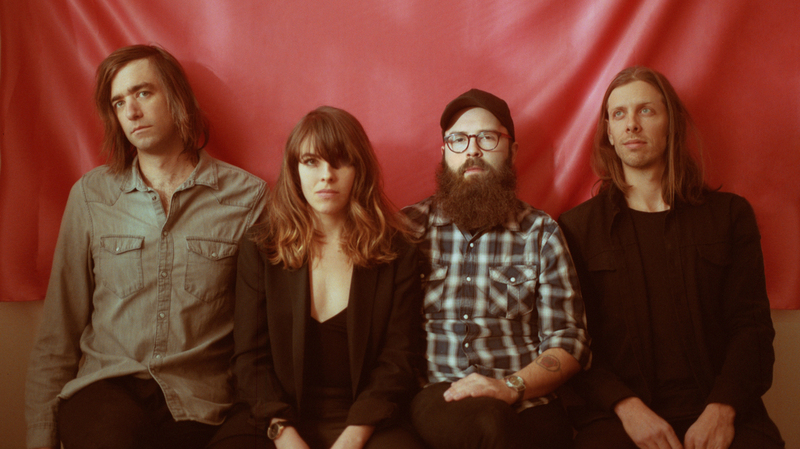 There's a lyric that appears across a couple songs on Hop Along's new album, Bark Your Head Off, Dog: "Strange to be shaped by such strange men." Singer and guitarist Frances Quinlan explained it by saying: "There's an anger at realizing the language that I lacked, the tools that I lacked to express myself and see value and power in my expression, rather than deferring to men for my value and worth." It's a useful summation of what internalized misogyny can do: make us crave male validation, even when we think we ought to know better. This kind of anger — not just at patriarchy, but at abuses of power more broadly — is at the heart of Bark Your Head Off, Dog, a densely textured and emotionally resonant study in intense introspection and frustration. It's curious to read Quinlan describe lacking tools for self-expression, since she's gained such acclaim for one such literal tool: her voice. Her singing has propelled her music — first on her own through a sprightly freak-folk project named Hop Along, Queen Ansleis and now, three albums deep with Hop Along — not only through the enormous emotional range it conveys, but the artful construction of melody she uses it for. Her acrobatic vocal lines continually reject the obvious, wrapping around melodic ideas rather than succumbing to them, fitting in phrases where you wouldn't expect them and breaking sentences mid-melody. To focus solely on Quinlan's peerless voice, though, obscures the impressive skills of the other three members of Hop Along — Tyler Long on bass, Joe Reinhart on guitar and Frances' brother, Mark Quinlan, on drums. Another drums/guitar/bass trio might craft power chords and standard rock rhythms in order to point a vanilla spotlight at Frances' voice; Long, Reinhart and Quinlan have, thankfully, never been that crew. They bring measured sturdiness and deliberate innovation to the songs on Dog. Reinhart, who helped produce the record along with Kyle Pulley, litters songs like "What The Writer Meant" and "The Fox In Motion" with the kinds of twinkly, expressive guitar riffs that defined his defunct emo band Algernon Cadwallader and made that music feel unbridled and joyous. Mark Quinlan is an incredibly versatile drummer, and he and Long don't just make the songs feel grounded, but also pulsing with life: "Not Abel," as it ends, stutters and grooves like little else Hop Along has done. Dog is an album shot through with disgust and restlessness; there's a sense of being in the midst of problems too overwhelming to demand simple resolution. Frances details the senseless cruelty of nature; the hardened hearts of ex-lovers; she sings of selfishness masquerading as virtue; wrongful convictions; expiring execution drugs. The anxiety is complemented by Long and Mark Quinlan's intricate rhythms and filled out with textural synthesizers and strings. It's enough to get lost in, and the additional elements sometimes threaten to bury the tenderest moments of Frances' searching — but they just as often expand the songs enough to keep them perpetually interesting. Frances excels at writing lyrics that don't rely on context to inspire being shouted along to and hit like a blow to the chest (try, for example, being unmoved in the midst of a crowd screaming "My love is average / I obey an average law" from 2012's "Tibetan Pop Stars"). Dog is full of them: "In the history of man / reality becomes softened," "Don't worry / we will both find out / just not together," "When you choose to go / I resume my little lower road." Frances' lyrics often feel impressionistic, offering just enough emotional detail to make you feel placed within a story, even if you can't decipher the entire context. "Look of Love" combines a stream-of-consciousness sketch with vivid detail; it opens with "Jane Austen / in the hospital" then turns into a shameful recollection ("I wonder if I / could go all the way back / would any of it still scare / me for example the Labrador / down the street") — until the narrator's thoughts begin to interrupt each other, cutting herself off, dragging us out of one perspective and into another: "I still dream of being watched, but / not by — well, I know your / thoughts on the matter," Frances sings. As is the case for many women songwriters, critics and fans often assume Frances' lyrics reflect her own life. She's said her songs often are autobiographical; they also often aren't, invoking other artists and close friends. "My experience is like a mire of thoughts," she has said about combining memoir and fiction in her songs. "I cannot compartmentalize at all. Everything is bleeding into each other, it's a mess." But it's that so-called mess that brings a deep empathy to her narratives, rendering the question of whose story she's telling moot; instead, she lets you peer out from the emotional core of any narrative. What you see from that vantage point on Dog might not always be pretty, but it nevertheless feels satisfying: powerfully real and usefully messy.